This page is dedicated to our community of translators and to the translation of the 1.7 version. Check the below results to know how far you allowed the community to go thanks to your translations. See what has been accomplished since the 1st of July, 2016. Feel free to help us! To join the Crowdin community or bring your language to further completion, go to Crowdin’s PrestaShop page and register. 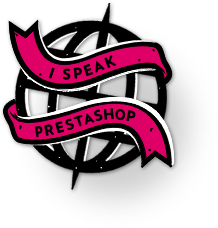 Follow our guide to discover the best practices and procedure to follow when you translate PrestaShop. Check the latest additions and the more significant improvements of the 1.7 version, the next major version of PrestaShop.